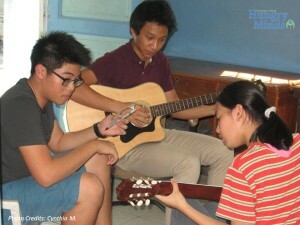 With the hope to inspire and help underprivileged children, a group of young boys initiated a music workshop called Project Harmony for the students of Hungry Minds School in Makati. Aside from the fun and new learning experience, Project Harmony provides an opportunity for Hungry Minds kids to enrich and develop their interest and skills in music. Thank you to the founders of Harmony School of Music for making a difference in the lives of these children!